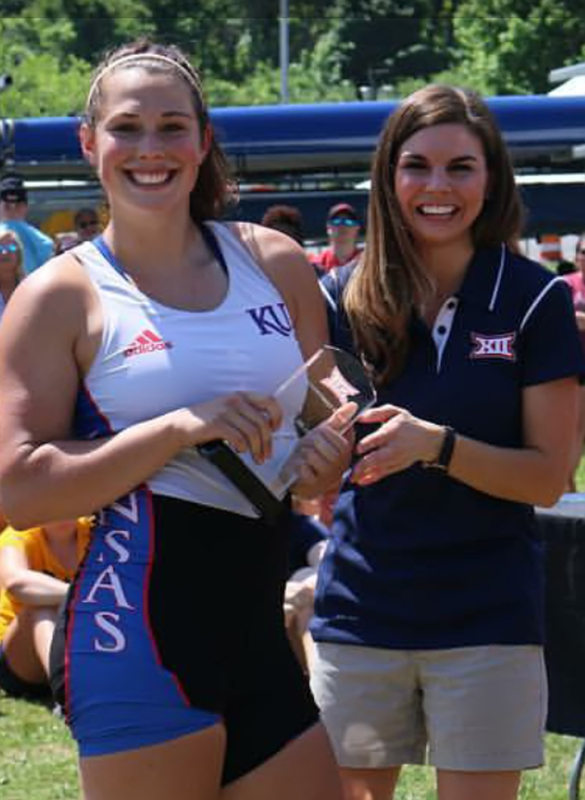 Post Tagged with: "Kaelyn Thierolf"
University of Kansas senior and Marion High School alum Kaelyn Thierolf was one of 20 athletes named to the 2018 All-Big 12 Rowing Team, the only athlete representing Kansas on the list. This marks Thierolf’s third All-Big 12 recognition. She was named the 2018 Oars­woman of the Year at Kansas.